Review: Featuring the collective talents of Dan Ghenacia, Dyed Sondorom and Shonky, it's little surprise the Apollonia project has swiftly become a force to be reckoned with in house music over the past two years. 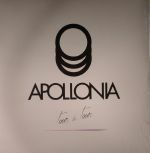 Less a production unit, more an excellent DJ tag team and label collective, Apollonia output to date has been the sole Trinidad 12" issued through their eponymous label back in 2013. A debut album then is something of an ambitious move, yet Tour a Tour demonstrates the Parisian trio are more than up to the task. 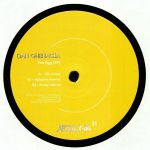 Said to be inspired by their unified approach to Djing, the album consists of 13 tracks that ramp up the intensity deftly in a manner to reflect a DJ mix. French legends Phillip Zdar and Alexkid lend their considered touch to proceedings throughout.